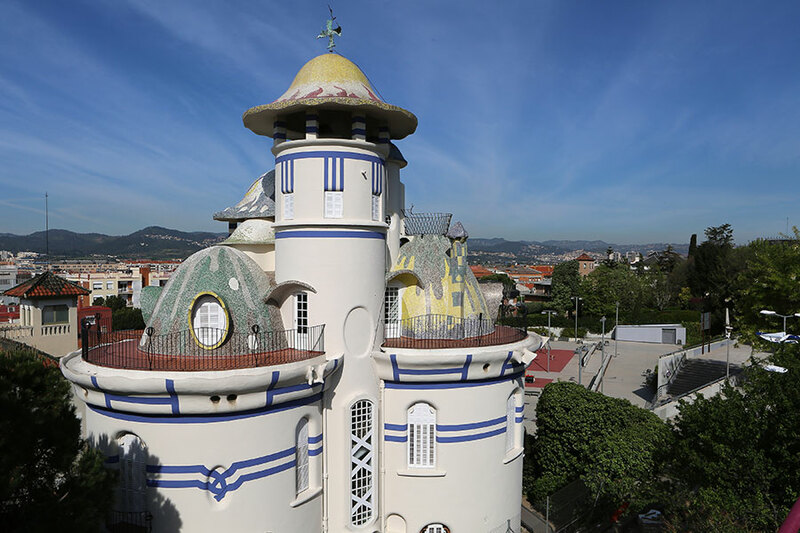 In Sant Joan Despí we find one of the most important legacies of the architecture of Josep Maria Jujol. The construction of a summer tower, right next to the train station, is the beginning of the relationship with the municipality. From the construction of the Torre de la Creu, it had a good relationship with Sant Joan Despí, and the municipal architect became the last 20 years of his life. Through the experimentation in rural architecture, we can see the most suggestive works of the architect: Torre de la Creu, Can Negre, and Casa Serra-Xaus among many others. 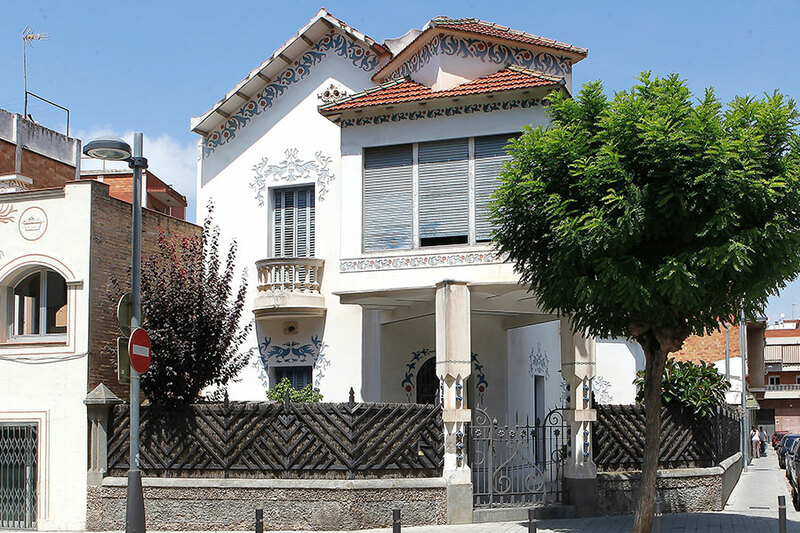 The house, made up of five cylinders and commissioned by Josefa Romeu, was the first work by Jujol in Sant Joan Despí. Jujol proposes a building without stylistic limitations. Within the agricultural context of the time, this building became a visual impact for society. Although it is not a new building of the architect, it has become one of the jujolian symbols par excellence. Jujol builds a large facade decorated with a carriage in the central part and sgraffiti, creating a praise to the Virgin Mary. The architect adapted this old 17th century farmhouse a summer house for its owner, Pere Negre. Inside, the plastic explosion of the chapel and the stairs stands out. 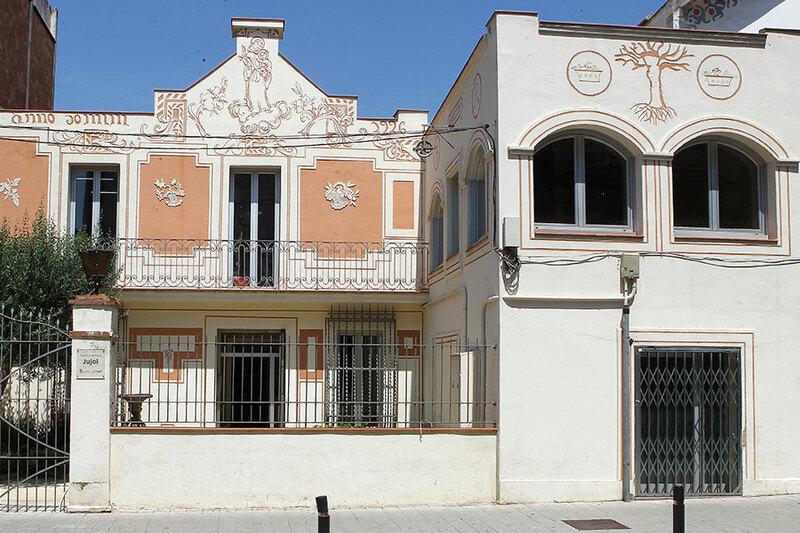 It’s one of the most modern buildings of the work of Jujol in Sant Joan Despí. The straight lines are the ones that prevail in the spaces of the house. The decoration was based on blue and red sgraffiti, as well as couple of ducks in the upper parts of the windows. 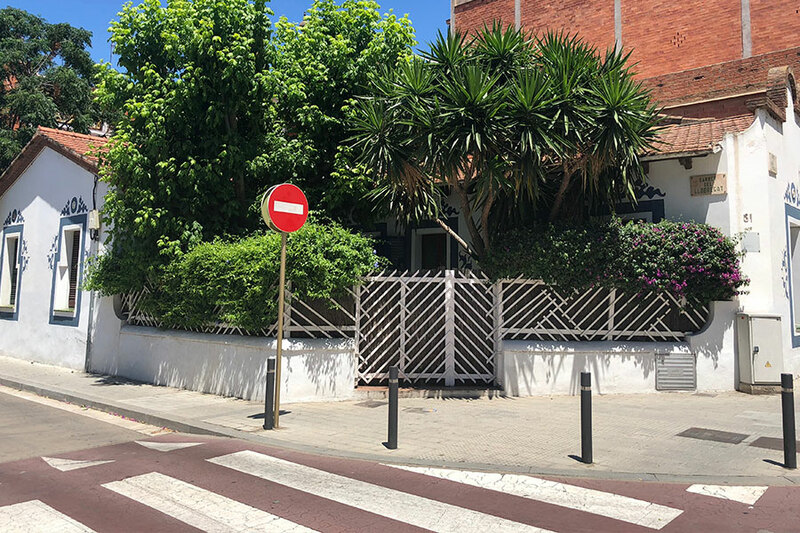 In this building, Jujol created a façade dedicated to Sant Antoni Abat, where we can find sgraffiti dedicated to the field and fruit. The main characteristics of the building are the dating (anno domini 1926) and the signature of Jujol accompanied by the ARQ anagram, referring to architect. During the years of the architect’s relationship with the municipality, Jujol ended up building his own house in order to spend stays and control the works carried out in the town. The house is composed of two houses with a ground shaped like a letter “L”, and decorated with corrugated sgraffiti of the favorite color of Jujol, the blue color. The inscription on the door “God is here” tells us of a personality marked by the religious sense. 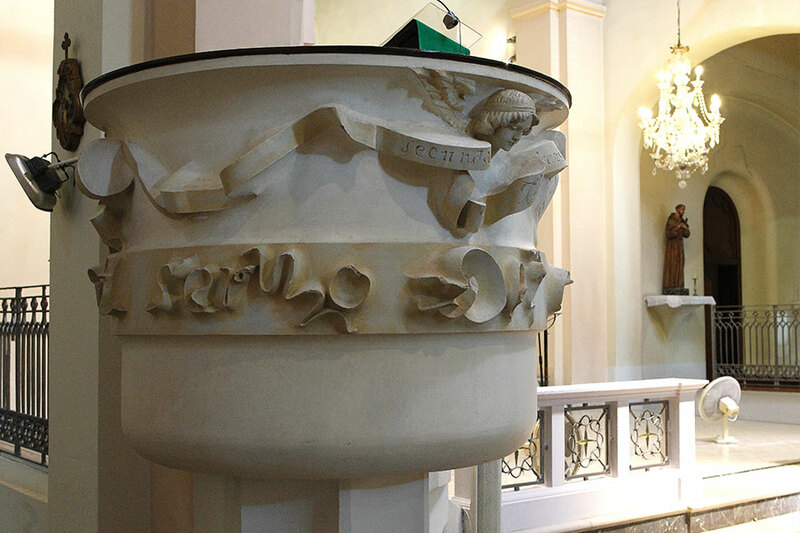 Jujol did decorative work for the church of San Juan Bautista. Here we can find examples of inscriptions, such as biblical phrases, stained glass with Eucharistic representations, a tabernacle with a Franciscan background, among other examples of painting and sculpture with iron. The religious work of Josep Maria Jujol is based on symbolism, colorist decoration and natural forms.